Development and Application of Special Dust Removal System for Coal Transportation Vehicles YANG Wei-bing;WANG Qiang;Shanxi Sanyuan Fuda Coal Industry Co.
A Centralized Liquid Supply System for Coupling,Motor and Reducer ZHANG Yu;Jincheng Anthracite Mining Group Jinding Coal Machinery Mining Co. Matching Analysis of Transmission to Truck Based on AVL-Cruise NIE Xing-fu;LI Xin-xin;Shaanxi Fast Auto Drive Group Co.
Design of Parameterized Compound Die Template Based on Feature Drive of Forming Part LI Jing;GONG Yi-peng;Shanghai Atoz Information Technology Co. 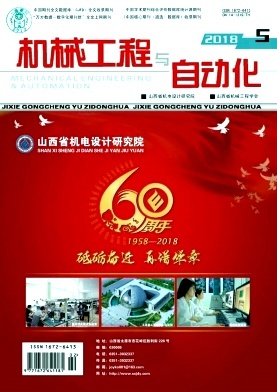 Structural Design of A Sending Device for Bank Card with Function of Returning LIAO Zheng;ZHUANG Zi;ZHU Lian-xiang;The Changsha Kingsignal Defence Co. Application Research of GH Bladed in Test of Control System Software SHI Xiao-ming;ZHU Chang-jiang;Zhejiang Windey Co.
Rollover Simulation Analysis and Structure Optimization of 12 m Bus YANG Yan-gong;MAO Hong-hai;NIE Wen-wu;ZHANG Qin-chao;Weichai Power Co. Analysis of Parameter Matching Characteristics for Dual Mass Flywheel of Front-Engine Rear-Drive Transmission CHEN Zhao;YANG Ming-hui;PU Hong-jie;WANG Dong;Dongfeng Liuzhou Motor Co.
Research on Stiffness Characteristics of Oil Damper FENG Yu-meng;FAN You-quan;LING Ping;ZHOU Yuan-hui;WU Zhong-fa;Zhuzhou Lince Group Co.
Cylindrical Gear Modification Design Based on MASTA Software NIE Peng;Hunan Hiangxiang Gas Turbine Co.
Design of Forced Lubrication System for Gear Box CHENG Jiang-chao;Hunan Hangxiang Gas Turbine Co.
A Separation Type of Powder Feeding Device for Rapid Prototyping Equipment ZHAO Pei;JIA Wen-peng;CHEN Bin-ke;ZHAO Xiao-huan;REN Long;XIANG Chang-shu;HE Wei-wei;Xi′an Sailong Metal Materials Co.
Milling Test of Titanium Alloy Thin-Walled Parts and Related Milling Force Model GE Mao-jie;DU Yong-bin;LI Bin;WANG Min;MA Yuan-yuan;Yantai Longyuan Power Technology Co.
Key Technology of Cutting System of Large Angle Coal Mining Machine for Half Coal Rock GAO Xin;Taiyuan Heavy Coal Mine Machinery Co.
Hoist Type Selection Calculation for Shanxi TaiGu Heat Supply Engineering WANG Zhi-xing;Shanxi New Fusheng Machine Manufacturing Co.